When the dust settled from the profit-sharing case, another white knight appeared at the plant gates - Glencore, one of the largest commodities-trading companies in the world, bought the Columbia Falls smelter in May 1999. The aluminum plant had at least one good full year of production under Swiss ownership before it was taken down by a power market deregulation scheme that resulted in power prices increasing by 2,000% or more. In the end, the plant joined eight other Pacific Northwest aluminum smelters that never recovered from the West Coast Energy Crisis. For photos and images related to this topic, visit the photo albums on the Facebook site "From Superstar To Superfund." Ever since the modern reduction process was discovered in 1886, aluminum companies strove for vertical integration – to control production, from bauxite mining to alumina refining to aluminum smelting to aluminum fabrication. A similar goal was held by petroleum companies. Marc Rich, the notorious international commodities trader whose company evolved into Glencore, first made his name in spot oil trading, making a killing during successive energy crises by making end runs around the major oil companies. His Machiavellian approach also proved successful in metals trading – including aluminum. In 1983, Marc Rich and Pincus Green fled tax evasion and other criminal charges in the U.S. and established a new trading company in Switzerland. Over the decades, Rich’s criminal history gained notoriety and often overshadowed his business acumen. His continued business activities in the U.S. – including with the U.S. Mint – drew the attention of congressional committees, but to no avail. The collapse of the Soviet Union provided a perfect opportunity for a man not afraid of trading in a market with no secure rules or regulations. Marc Rich moved into the aluminum business soon after fleeing the U.S. and was the largest aluminum trader in the world by 1984. He saved a Jamaican alumina refinery in 1985 and an aluminum smelter in Oregon in 1986 with long-term deals that paid off handsomely for him in the end. If his business made a mistake, it was the men chosen to operate the Ravenswood plant in West Virginia. The Steelworkers went to war against Rich, and a man who prized anonymity soon found himself hanging in effigy in London and the subject of congressional investigation. His pardon by President Clinton in January 2001 only further enhanced Rich’s fame and mystery. Marc Rich’s trading company became Glencore in 1994, and Rich was boxed out in an expensive buyout. 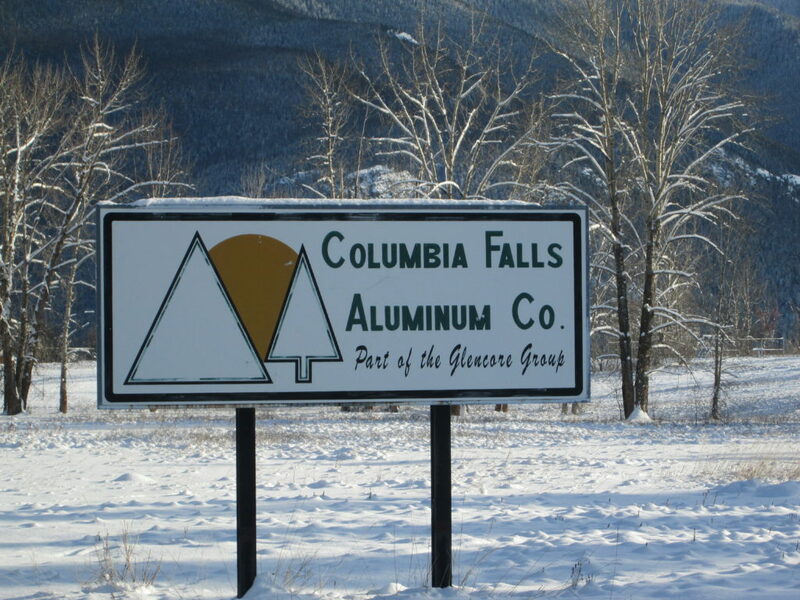 Five years later, Glencore bought the aluminum smelter in Columbia Falls and set it up to toll alumina for the global commodities company. A new labor contract was approved, and metal markets looked good. The Swiss company installed new potline computers and was investing in its equipment maintenance program when the West Coast Energy Crisis wreaked havoc on the regional aluminum industry and shut the plant down. An ill-planned deregulated power market in California was linked to the Pacific Northwest by transmission lines intended to send power south in summer and north in winter. As rolling blackouts dimmed California cities, the Flathead County Commissioners talked about building a power plant in the valley to power the aluminum smelter. Forced by the 1980 Northwest Power Act to meet all demands, the Bonneville Power Administration sold 3,300 megawatts more than it had lined up. In the end, the BPA turned to the aluminum companies for the power. The companies agreed to shut down and sell their power back to the BPA – at astronomical prices. For the first time since it began smelting aluminum in August 1955, the Columbia Falls aluminum plant completely shut down in January 2001. Half the workers were provided pay and benefits for the rest of the year while the other half remained to maintain and improve equipment. While economists studied impacts of closed smelters across the Pacific Northwest, government officials looked for parties to blame for the catastrophe. The collapse of the regional aluminum industry fueled criticism of power subsidies to smelters, and the controversial power sales back to the Bonneville Power Administration became fodder for Montana’s 2004 gubernatorial campaign. The Columbia Falls smelter restarted a potline in February 2002. Within three months, two more potlines were being re-energized, as the regional aluminum industry rebounded. The recovery was short lived however – two potlines were shut down by May 2003 amidst a lackluster Montana economy and increasing power prices. Glencore gave up its lease on the alumina off-loading port in Washington, as Sen. Max Baucus continued to negotiate with the Bonneville Power Administration on behalf of the aluminum smelter. The smelter in Columbia Falls installed a sow casting line and started up a second potline in fall 2006 in another cycle of optimism. By December 2008, on-hand raw material supplies were nearly depleted and only one potroom was running – for restart purposes. A court ruling that ended Bonneville Power Administration subsidies for regional aluminum plants made a complete recovery seem impossible. Sens. Max Baucus and Jon Tester continued negotiating for better power deals right up to the end, as the smelter shut down for the last time on Oct. 30, 2009.